It’s fine watching films on your phone while squished on the metro but you need a massive screen to really absorb the wonder of blockbusters. Add in a live orchestral accompaniment and the majesty of the Dubai Opera and you’ve got yourself a recipe for an epic experience. This February and March get ready to experience two classic films with live orchestral accompaniment in the spectacular surroundings of Dubai Opera when The GodFather LIVE and Harry Potter and the Chamber Of Secrets comes to Dubai. First up, it’s Francis Ford Coppola’s timeless masterpiece The Godfather. 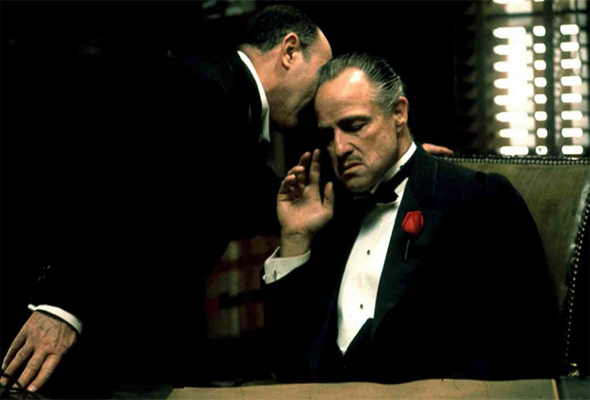 Starring Marlon Brando and Al Pacino The Godfather will be shown on the big screen at Dubai Opera on February 28 whilst Nino Rota’s immortal score is performed simultaneously by the Armenian State Symphony Orchestra, under the baton of American composer/conductor Justin Freer. The Godfather, released in 1972 to popular and critical acclaim, tells the story of the Corleones and their rivalry with other New York crime families between 1945 and 1955, as the title character (Brando) hands over the reins of power to his youngest son (Pacino). Then on March 1 and 2, audiences can rediscover Harry Potter and the Chamber of Secrets while the Armenian State Symphony Orchestra performs Patrick Doyle’s unforgettable score and Harry Potter soars across the big screen in high-definition. “If you haven’t seen a Hollywood blockbuster accompanied by a full live symphony orchestra then you’ve truly never experienced the incredible power of music to bring films to life,” says Dubai Opera’s Chief Executive, Jasper Hope. Tickets will go on sale on Thursday January 17 at noon via the dubaiopera.com website. Tickets start from Dhs175, with a 20 per cent Early Bird offer on the top two categories until January 31.